Julie Sandlau's philosophy is to create a modern collection of classic, high-quality jewelry. 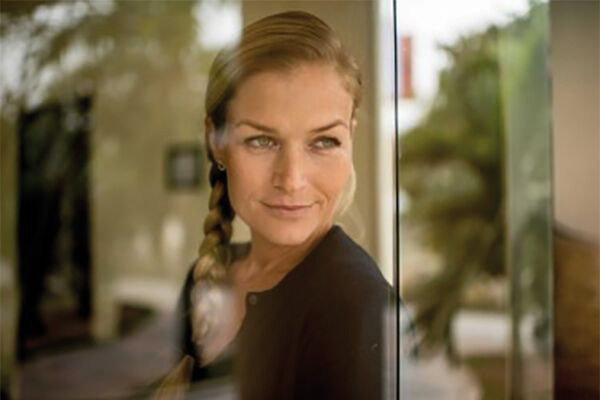 As an established Danish designer, Julie founded the company with her husband. She has designed jewelry for over 15 years. Her collections are known for being elegant and sophisticated. Each Julie Sandlau design is expressed through timeless silhouettes and vintage beauty. Julie Sandlau draws inspiration from cross-cultural trends and elements of nature, all interpreted through her Scandinavian minimalistic lens. While studying for her law degree and working as a model, Julie spent time travelling in the Far East. During her travels she discovered a Chinese healing herb, one of nature's perfect designs. The leaf's delicate silhouette stayed close to her heart until 2002 when she chose to make it her personal signifier, symbolizing the Julie Sandlau tree of life. Many of Julie’s designs feature elements of the perfection of nature. “As I began my journey in the world of jewelry, I immediately fell in love with the entire process from picking out the delicate gems to creating glamorous and stunning jewelry. A sudden inexhaustible creative resource – I instantly discovered my passion”. 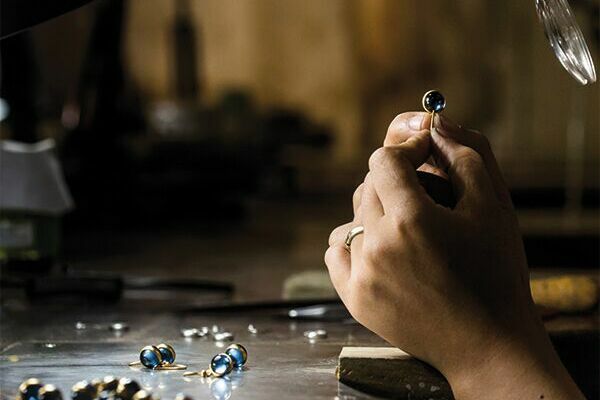 Julie Sandlau has produced jewelry in her own factory in Vietnam since 2005. 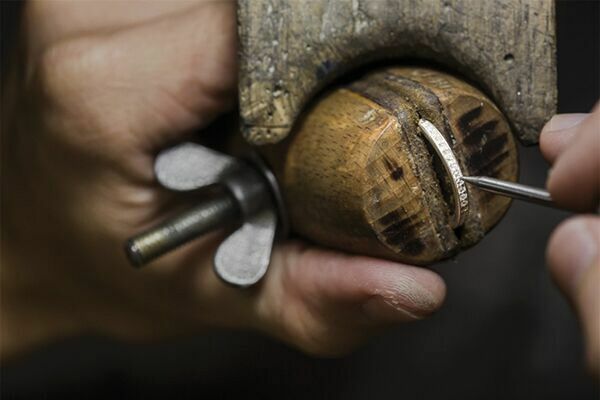 All production employees are trained by Danish goldsmiths in Scandinavian jewelry traditions. Julie Sandlau’s unique designs are developed and produced in perfect partnership with the factory to ensure the highest quality of production and attention to every detail. Julie Sandlau Vietnam Co. Ltd has a strong focus on sustainability. The factory is committed to the United Nations Global Compact supporting the values of human and labor rights, environment, and anti-corruption and a member of the Responsible Jewellery Council, an international standard on responsible business practices in the jewelry business. All employees are taught about fire and safety, labor safety, hygiene, anti-corruption, environment and first aid. The factory has a medical room and free canteen for all staff. Employees can choose to be part of a worker’s union to protect their rights. Julie Sandlau produces four collections annually: Spring / Summer, High Summer, Autumn / Winter and Christmas. With the combination of craftsmanship, Danish design, and the newest technology the factory guarantees the finest quality jewelry made of 925 sterling silver with rhodium or 22 carat gold plating. 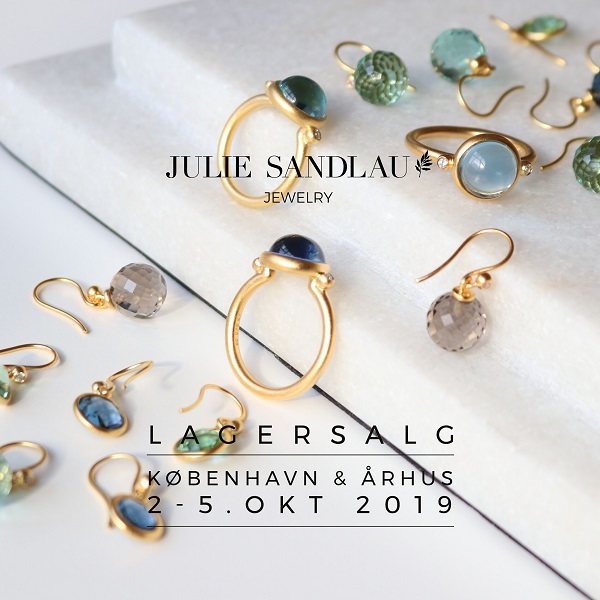 To celebrate Julie’s 15 year anniversary she launched her Fine Jewelry Collection made of 18 carat solid gold, gemstones, and brilliant cut Top Wesselton diamonds.